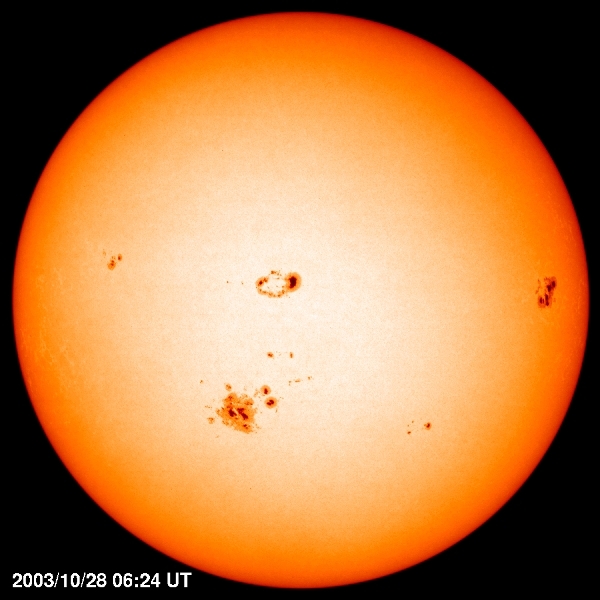 Source: Nasa, the sun on the date of this entry.....a quiet day. Since the Chinese 2000 years ago who observed our roaring sun protected from blindness by the dust of their deserts, we’ve been recording the black spots on her surface. Then Galileo Galilei, Christoph Scheiner and other renaissance astronomers came along with their telescopes. Sunspots occur usually in pairs though they may become fragmentary and difficult to count, so these days we use surface area as the measure. The sun and her cycles! She rotates every 27 days. Then there is the grand sinusoidal variation of her magnetic field over 22 years, which like twisted elastic, goes only so far then snaps back. The poles flip from one cycle to the next and this magnetic field is manufactured by the solar dynamo, a mechanism that converts some of the energy from the gas flows into magnetism. Then due to the grand cycle, there is the 11 year cycle of intensity. The sun’s gaze oscillates a tiny amount, up to one tenth of one percent. And these cycles vary in size from one to the other. At the beginning of each 11 year cycle the spots occur away from the equator and then closer to it as the cycle progresses, giving a beautiful recurring butterfly pattern in the data. 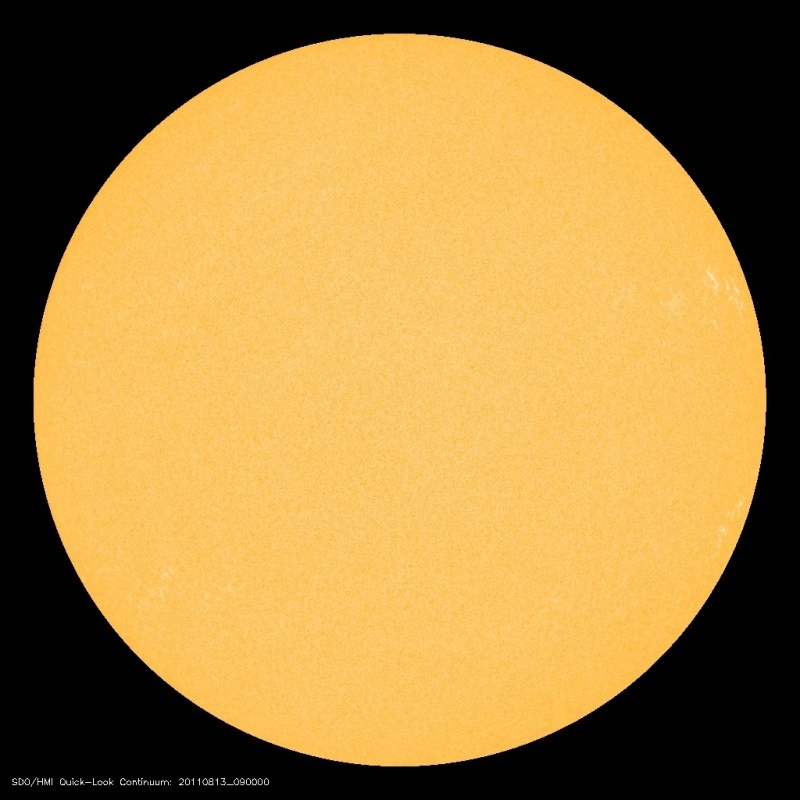 From records of sunspots and additional information from isotopes gathered in sources including coral, tree rings and ice cores, we calculate the intensities of our ancestors' sunshine, going back some 10,000 years or so. We carefully build computer models that input sometimes idiosyncratic histories recognisable by the personalities of those who made the measurements. And if we are fortunate and clever we may use our computer calculations to tentatively look forward. Streaming across the eight minute gap, from sun to earth, the light is encoded with spectral messages about what constitutes our sun’s fire, how the masses on her surface are moving - their magnetism and velocity. Currently there are problems with the data; confusingly our multiple sets of measuring instruments give different answers. For a moment, we peer up from the difficulties and wonder what the sun is doing today. Yvonne Unruh is currently trying to answer the question ‘how much does the sun vary over the last three cycles?’, so that she can look for correlations with sun spot activity. She also has an allotment, listens to ‘Late Junction’ and finds the playful works of sculptor Jean Tinguely interesting.